And I mean low mileage. You mean I can be the first person to get a sore back from that bike? I'm kinda surprised that bike has been for sale for so long. Seems like a reasonable price for something I'd imagine is fairly difficult to duplicate, at least mileage-wise. Question for 1971 and those that have ridden the RC51. How much room is there for someone 6'2". 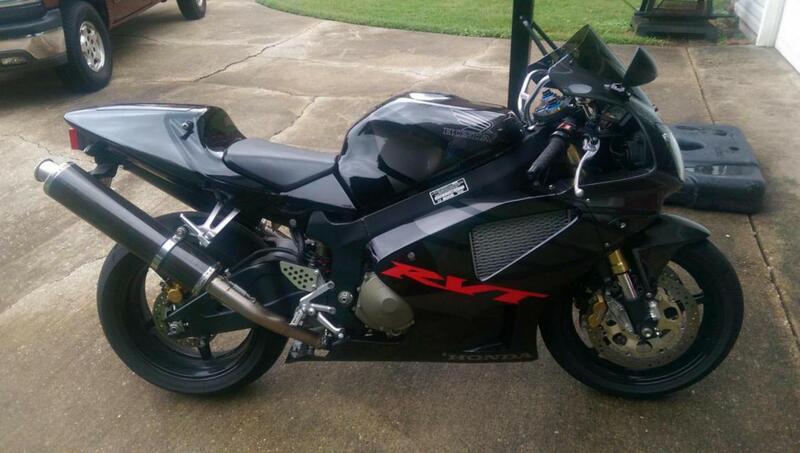 I am considering either this or a 2004-07 Aprilia RSV for a track bike. Since I have never sat on the RC, I wonder how it would compare to the Aprilia? A friend of mine who is about 5'10" has ridden one and he said the footpeg to seat to handlebar was more cramped than his 06' CBR1000RR. Hence, the question. I always thought the 05'/06' RC's had the best color scheme! I am 6'2". I've never really ridden one but did check one out a couple years ago. Sat on it, ran it etc. I think I will be fine myself, if not I will get used to it. It will not be my only bike and I plan on riding both evenly so I have that option also. That's a great deal, if legit (?). If it was somewhat local to me, I'd be on it . The RC51 is a great bike. If you like your Superhawk , the RC will send you to the moon. However, like the SH , this was no sport-touring bike. I was lucky enough to have a co-worker that bought one new and left her alone, other than a Two Brothers exhaust and a couple other minor mods..... he used to trade me for my Blackbird (CBR1100XX) on occasion, when he had more than a few miles to burn on the highway, or wanted to take his girl along for the ride. Nice trade. I would spend the weekend mostly on the back tire of the RC, and he could put in more than 100 miles on the Blackbird without needing pain killers to get to sleep that night. Bottomline.... to Honda's credit , they made few concessions to comfort on the RC51. Least comfortable stock seat EVER, for one thing....but, you aren't really supposed to spend any time actually sitting on that seat to begin with on this particular bike , are you ? If you aren't hanging off the side of this thing dragging a knee , or standing on the pegs as you power up into the straightaway, you technically aren't really using it for it's intended purpose....which is hustling down the road about as fast as you can without crashing. These remaining RC51s will only go up in value as the years pile up on them, and anyone who tries to transform it into a comfortable street bike should stow all the OEM stuff safely in a big box, so they can put it back to race-ready Honda stock trim , in case they want to cash in on it's ascending value in the future. Last edited by Bustin; 01-17-2016 at 01:41 AM. SOCAL bike night....who wants to get together???????? 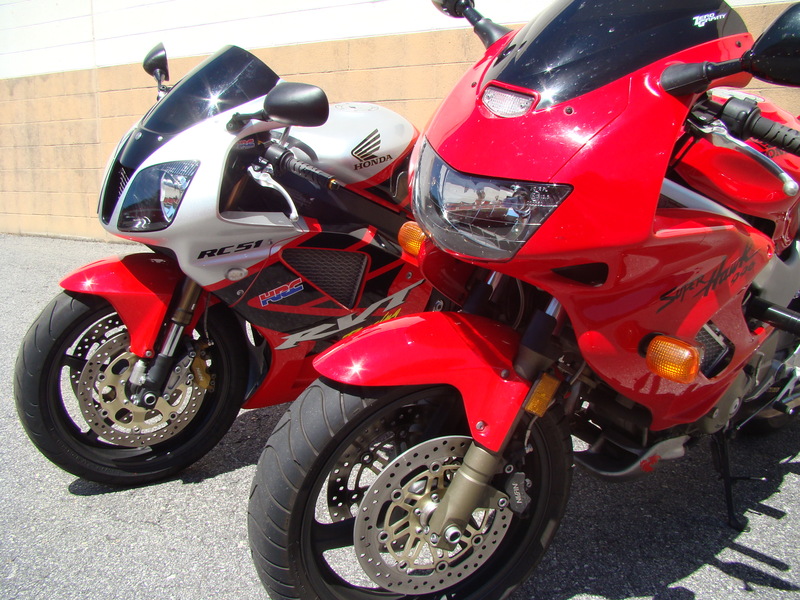 Quick Reply: Who wants a low-mileage RC51?